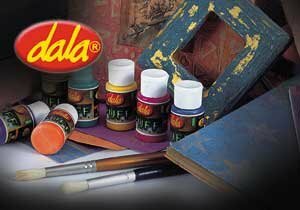 Dala Puff Paint is essentially a fabric paint that has, in this instance, been used in an excting and unconventional way - on paper. The use of simple geometric designs work better than intricate details. Cut the potato in half, as you require a flat surface for cutting your design into. 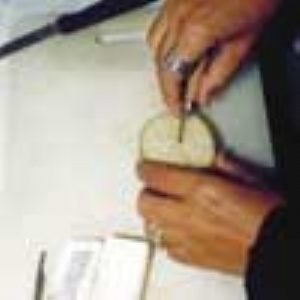 Using either the linocut tools or a small, sharp vegetable knife, carve your design into the flat potato surface. 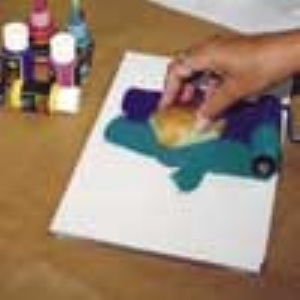 Roll out a layer of Puff Paint onto the tile using the brayer roller. 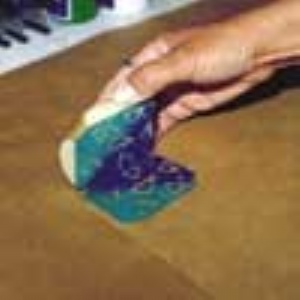 Stamp the potato into the rolled out paint and print onto the brown paper. Create either a regular pattern or a random design but have an idea of your intent before you begin. Allow the printed artwork to dry thoroughly. Pre-heat your oven to 130º C. Heat set your artwork in the oven for 3 minutes. Note: The Puff Paint will cure about 50% lighter than the original (wet) colour. This may be done on an old tile, glass or any non-porous surface. 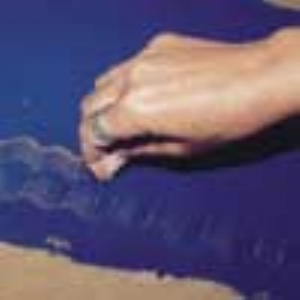 Roll the Puff Paint out onto the smooth working surface. 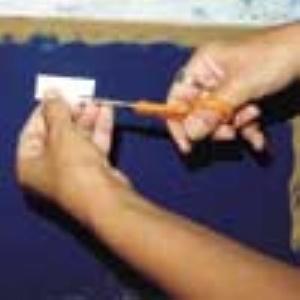 Use a cardboard strip (cut into a comb) to draw patterns/designs into the paint. Place a piece of brown paper over the inked design area and rub down gently over the top with your hand. Fold the overlapping edges into the covers as you would normally when covering a book. Cleaning: Brushes and equipment that have been used for Dala Crazy Cracks may be cleaned with soap and water. Equipment used with Dala Oil Colour should first be cleaned with turpentine. This item has 889 views.